We will help you select the best lens available to fit your needs. 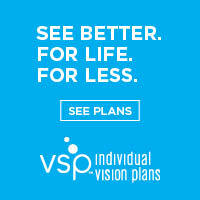 Single vision lenses are the most common type of lens that can be used for near or distance vision correction. We also offer bifocal, trifocal, and progressive lenses which allow you to see both near and far. Frequent computer users should consider computer lenses, which help your eyes focus on the computer screen more easily and reduce eye fatigue. Our staff will also explain which lens treatments are best for you. UV coating shields your eyes from the sun’s harmful ultraviolet rays, while anti-reflective coating can reduce eye fatigue and glare in any environment giving you clearer, crisper vision. Wilson Eye Center houses a full service finishing lab for quick, quality service. Same day service is available for many prescriptions. Special orders such as high power prescriptions and anti-reflective or multifocal lenses may take a little longer. 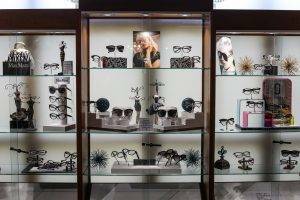 Our highly qualified staff pride themselves in helping you select the frames and lenses that will work best, and we will help you keep your new glasses clean, fitting right, and feeling great at no charge.